Description: Happy Hour, here we come! 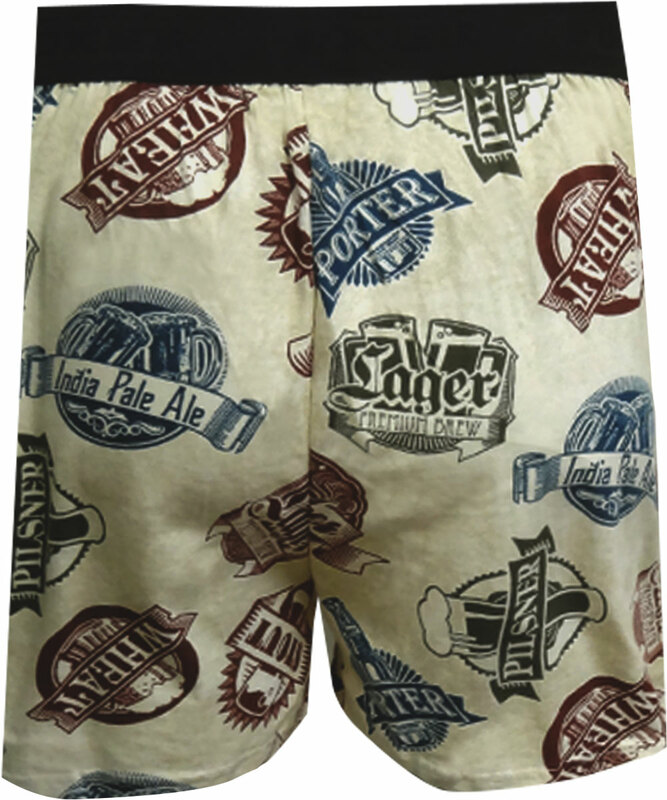 These knit cotton boxers for men feature all the different types of craft beer. 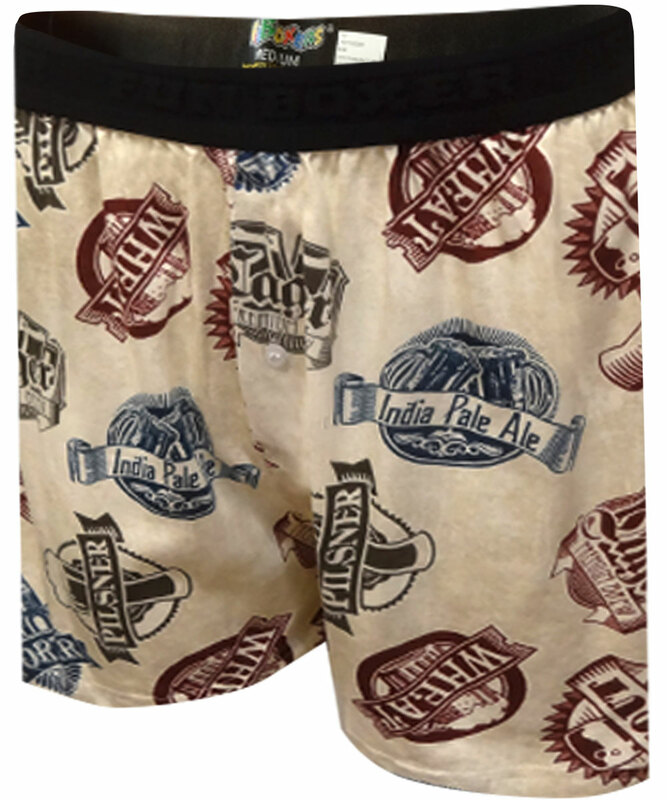 Machine washable with button fly and exposed elastic waistband. Hysterical!